Index futures recovered slightly following release of economic news at 8:30 AM EST. 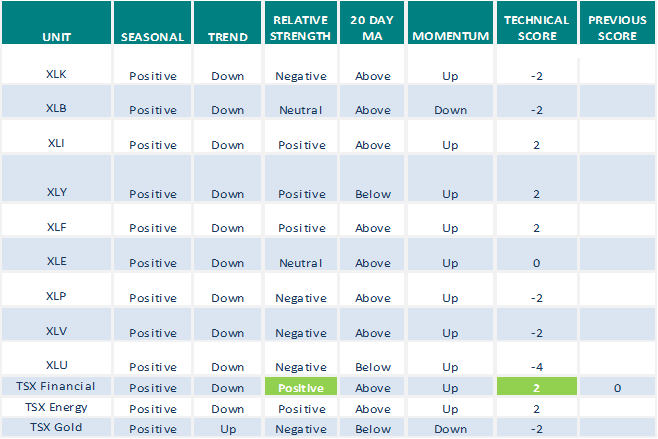 Consensus for the January Philly Fed Manufacturing Index was an increase to 10.0 from 9.1 in December. Actual was 17.0. Consensus for Weekly Jobless Claims was 220,000 versus 216,000 last week. Actual was 213,000. Morgan Stanley dropped $2.60 to $41.89 after the company reported lower than consensus fourth quarter earnings. Signet Jewelers dropped $3.34 to $30.02 after the company reported lower than consensus fourth quarter earnings. The company also lowered its guidance. 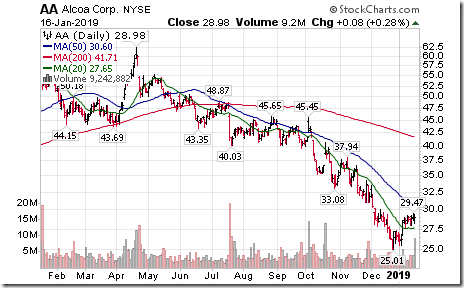 Alcoa slipped $0.62 to $28.36 despite reporting higher than consensus fourth quarter earnings and revenues. The company also lowered its guidance. 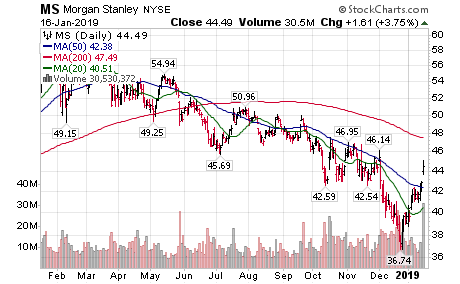 Morgan Stanley lowered its target price to $52 from $57. 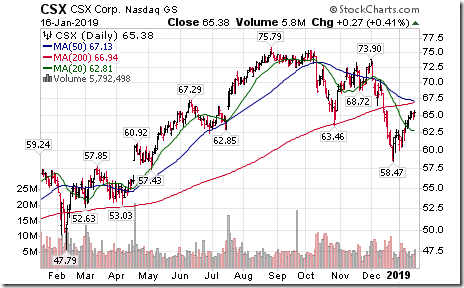 CSX fell $1.52 to $63.86 despite reporting fourth quarter sales and earnings in line with consensus. The company also announced a $5 billion share buyback program. 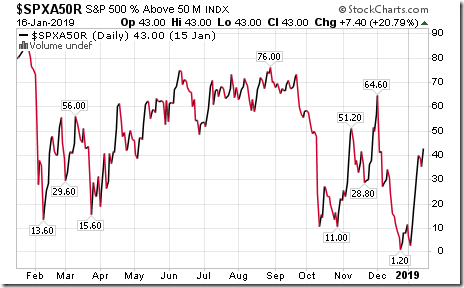 Note seasonality charts on the U.S. Financial sector, Crude Oil Days of Supply and Gasoline Days of Supply. 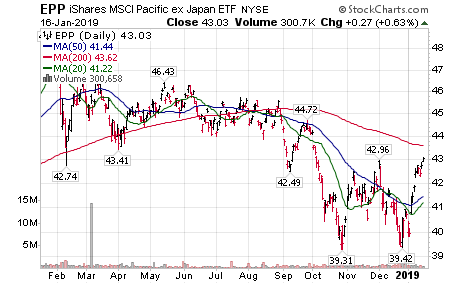 Encouraging technical action by Asian ETFs! 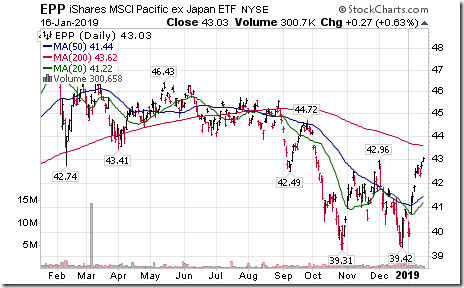 iShares Pacific ex Japan $EPP moved above $42.96 completing a double bottom pattern. New Flyer Industries $NFI.CA moved below $31.52 extending an intermediate downtrend. 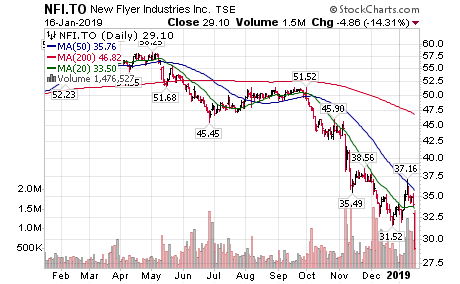 Editor’s Note: The company issued negative guidance. 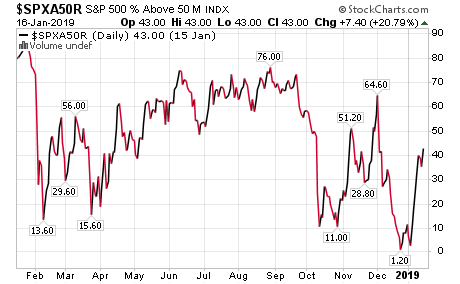 Technical action by S&P 500 stocks to 10:00: Quietly mixed. 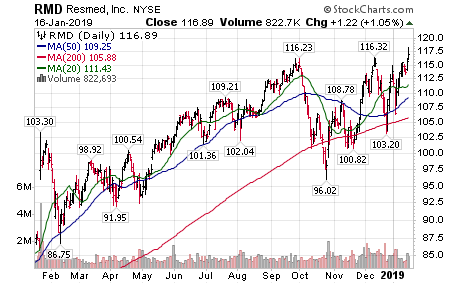 Intermediate breakouts: $VAR $RMD. 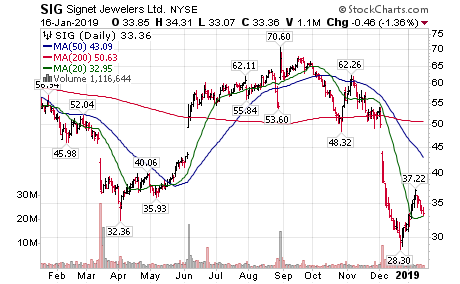 Breakdowns: $JWN $FISV. Editor’s Note: After 10:00 AM EST, intermediate breakouts included: BIIB, IRM, SYF and AJG. No breakdowns. 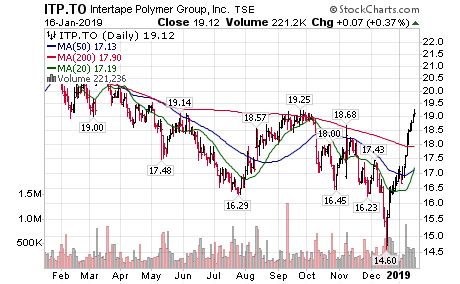 Intertape Polymer $ITP.CA moved above $19.25 extending an intermediate uptrend. 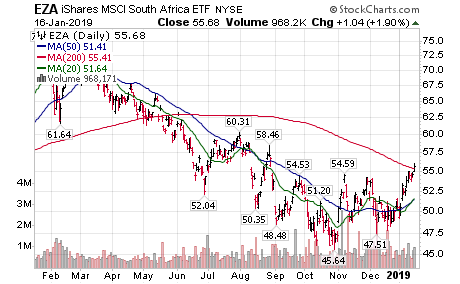 South Africa ETF $EZA completed a reverse Head & Shoulders pattern on a move above $54.59. 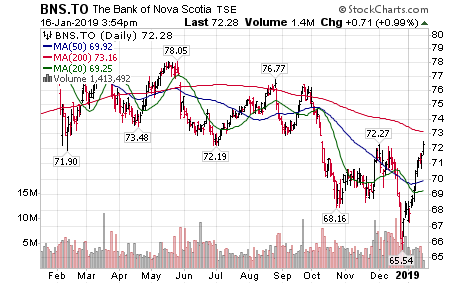 Bank of Nova Scotia $BNS.CA moved above $72.27 extending an intermediate uptrend. 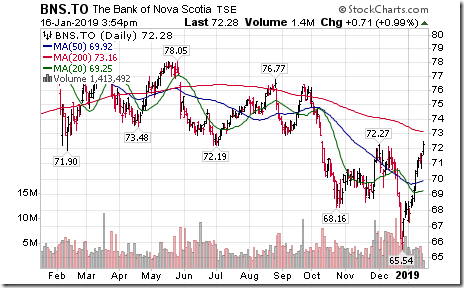 ‘Tis the season for Bank of Nova Scotia BNS.CA and other Canadian financial service stocks and related ETFs to move higher! 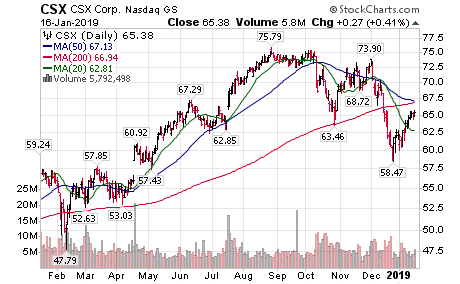 Percent of S&P 500 stocks trading above their 50 day moving average increased 7.40 yesterday to 43.00. 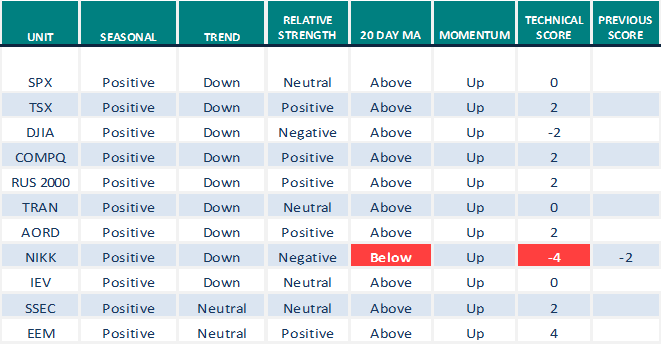 Percent changed to intermediate neutral from intermediate oversold on a move above 40%, but continues to trend higher. Percent of TSX stocks trading above their 50 day moving average increased 3.36 yesterday to 71.43. 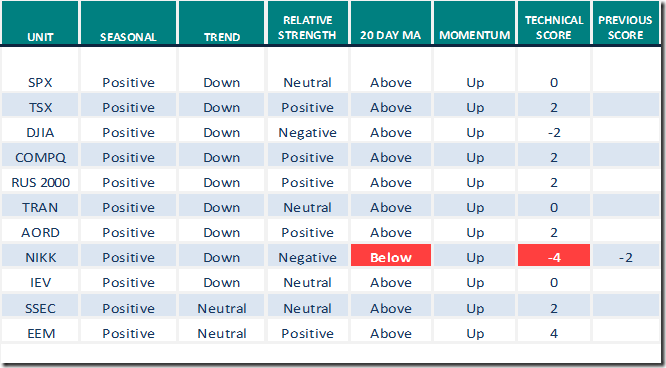 Percent remains intermediate overbought, but continues to trend higher. Hope one of you will post Armstrong Private blog from 16 January afternoon. Thank you. Gary posted it last night……. Bruce Thank you… I needed to update the page to see it. Gary – Thank you so much. 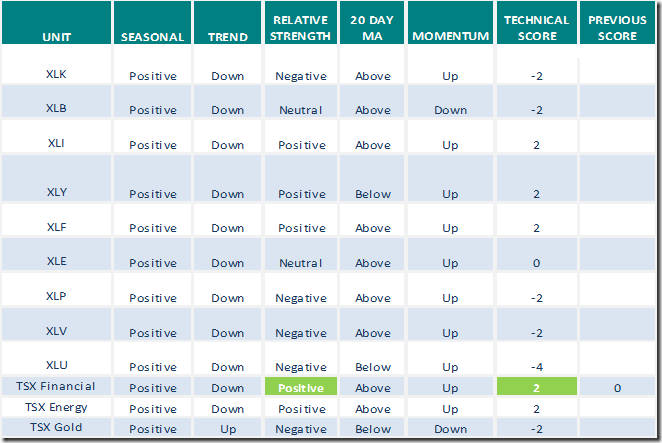 Just saw Armstrong has a new one – Dow into February… when you have a chance, por favor. 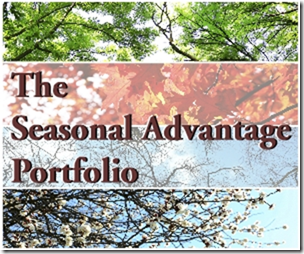 I posted this on Wednesday’s blog in response to your comment about the $SPX. 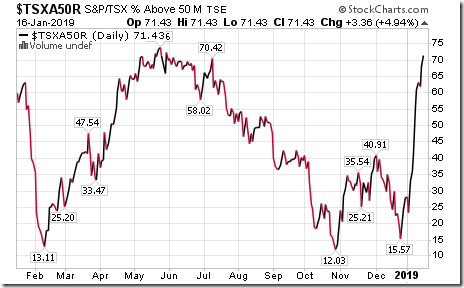 Are you still there – got a trade for you from Ronbo…..I am in. Hi. I’m sure it’s Silver futures with Ronbo,lol. Email me if you like and I’ll have a look at it. Just e’d the set-up. Whatchathink? 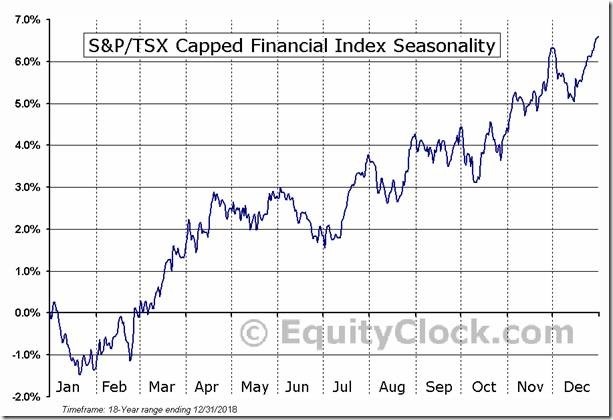 Just read your email and will make some new charts of it later today and have to spend some time on it. Thanks. Since I’m in New Mexico- you are only an hour away time wise. Interested in what you have to say. Ronbo says with this trade, he’ll buy a new cabin! HA!! BTW – he’s still married to his Russian bride. 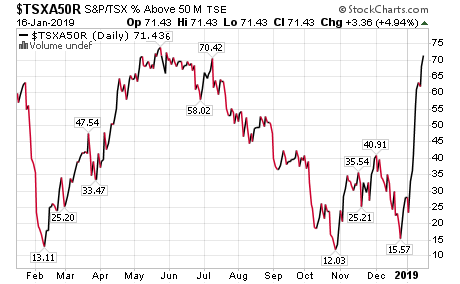 Here is the Down in terms of Euro. You can immediately see we have a completely different pattern. The market stayed within the upward channel and now as the Euro declines, this brings in support even if in terms of dollars the Dow moves sideways to lower. 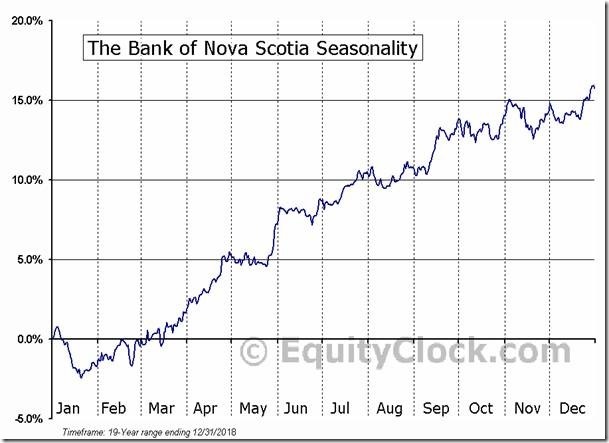 Now, when we turn to the Weekly Timing Array, we can see we have a Directional Change coming into play next week followed by a Panic Cycle the the week of the 28th. 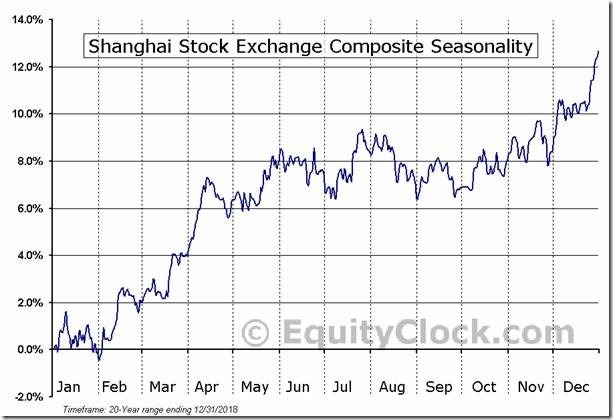 The strongest target will be mid February. Keep in mind that TIMING is #1 and PRICE is #2. Therefore, which it remains possible to test the Weekly Bullish Reversal in the 25,000 zone, we run out of time by Monday 21st. That means WHATEVER high we reach on Monday will most likely be the end of the bounce. 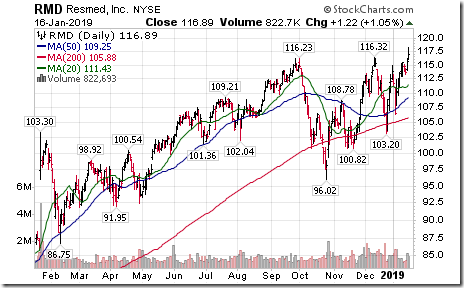 The market closed too far above the Daily Bullish so it moves back to retest. The fact that the market is not running away to the upside, warns we may not be able to reach the 25,000 area by Monday. We do have a Daily Bullish at 24952. There just appears to be a large gap between the 24,000 and 25,000 levels. Normally, with the Weekly Bullish not coming into play until 25,000 when the market fell to 21,712, This setup also warns that we may yet make a new low but hold 21,600 on a monthly closing basis. That would then bring the Weekly Bullish down significantly closer to the current trading levels. 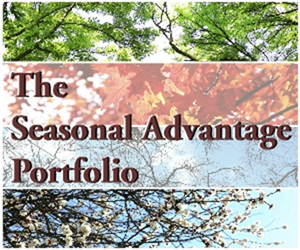 When that happens, it will increase the chances that the low for the year is in place. Something needs to happen between now and January 2020 that begins to seriously undermine the confidence in government. The Democrats are acting absurd. If Trump says the sky is blue they would say it is black. They must oppose whatever Trump says just to win the White House in 2020. Government will no longer function. The damage the Democrats are doing on all levels being aided by the Neocons who just want war and are not loyal Republicans, is really profound. From here into 2032, do not expect government to function. It has become permanently polarized. This is NECESSARY to aid the shift from Public to Private Confidence going into 2032. The Republicans and Democrats can no longer work together to run government. God help us for whoever follows Trump will be a full fledged pro-government person who will do whatever is necessary against the people. Trump is ONLY the reaction – not a change in trend. Those who hate Trump hate anyone who disagrees with their politics. This hatred is pervasive. In South Carolina, a friend reported that a car in a parking lot with a Trump sticker was shot numerous times as a warning to Trump supporters. The 2020 election is likely to be the most violent in American history. This is all part of the collapse in faith in government unfolding into 2032. There is just nobody willing to run for office who is now middle of the road. All we will get are extremely from both sides. 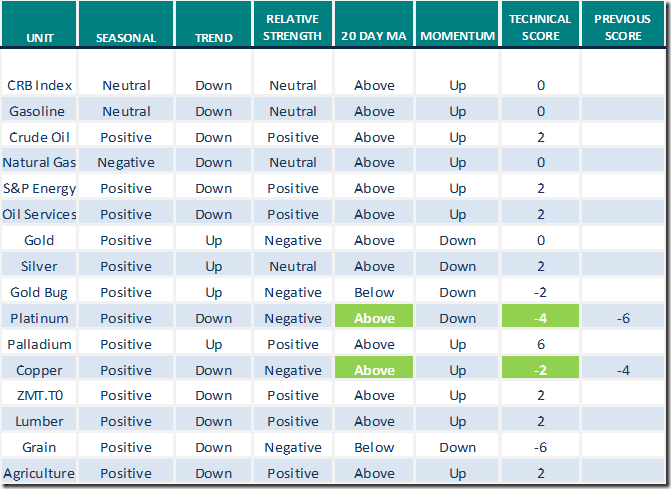 Gold has been starting to realign rallying with the stock market. This is a good sign for the long-term. The Weekly Bullish stands at 1322.50 while the Weekly Bearish lies at 1236.10 and this is a virtual Double since we have also one at 1236.30,. Technical support on a weekly closing basis rests at 1275. 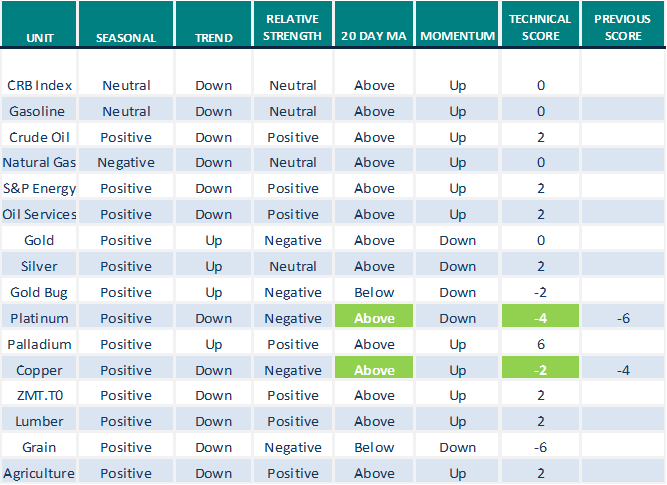 Here too we have next week as a Directional Change and the strongest target remains in mid-February. 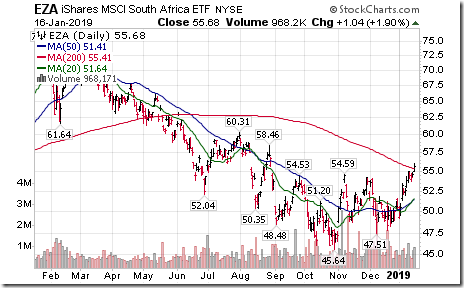 Gold is simply being driven by the political events as are the currencies and share markets. This is reflecting that people just do not know what lies ahead on the horizon. On the Daily Level we have THREE Directional changes back-to-back which is giving us this choppy pattern. But here too the main target appears to be Monday 21 with a Directional Change then and the 22nd as well. Only a Monthly Closing above 1362.50 would signal a breakout and that does not really appear likely until 2020.